What can you do with our blockchain? It records the extract of a digital document perpetually in the world. Protect your copyright on your work by saving the extract in the public blockchain. Do you have a PDF document that contains a contract? Do you want to register as an owner of a photo or a song? Our solution is unique in the world: it allows everyone to be part of the network, all connected immediately is our mantra. We are independent of cryptocurrencies: store your data in a blockchain designed for this purpose without dependencies on other business models. 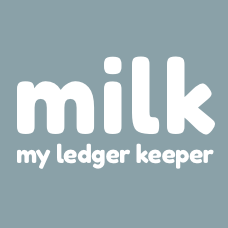 My Ledger Keeper is the ideal tool that with three simple steps stores your property in the public blockchain. What information is stored in the blockchain? The extract of your document using the SHA-256 algorithm: your document remains to you in original copy only its digital hash representation will be public. Only the version of the original document will be linked to your nickname: subsequent copies must be fixed in the blockchain. Once you have fixed the information made up of your nick along with the extract of the document the blockchain will protect it and share it with the rest of the world. You decide what to store in the public blockchain: you only want to protect the information that matters in your document. The information set by the blockchain is public and everyone can access it at any time and from anywhere in the world. To access the independent blockchain you can do it anonymously right away, access the download section and install the latest version available. The blockchain is independent and distributed all over the world: you can also participate for free. The blockchain is anonymous, everyone can upload information or join the network. For more information, you can ask the support team for information. Do you need to prove that you are the owner of a document? Using any of the document’s SHA-256 verification tools, you can refer to the block identifier that contains your nickname in the blockchain. The blockchain is based on proprietary technology, and is also available in open source code so that anyone can start being part of the blockchain and make the distributed platform more and more robust every day. The blockchain is based on the peeer to peer system and does not require a cloud system or an active server. Want to see how the blockchain grows? Connect using the customer and view the stored excerpts. The information stored in the blockchain is “anonymous”: decide what to write in the extract and in the nickname. The proprietary protocol is very simple and does not require computing power to run it: you can take it with you to your smartphone. The proprietary blockchain sequentially stores the SHA-256 of the information and in blocks are shared using the peer to peer protocol. Closing a block and storing it using a dynamic timed system. The time that varies between one block and another depends on the number of information to be memorized. This allows more information to be stored in a distributed manner over a period of time. The transport system in version 1.2 is the http protocol that is known and usable also by smartphone devices connected through the 4G network. The proprietary algorithm on which we base our blockchain is called proof of relay, read more information here. Also take part in the construction of the first independent public blockchain.